How to be accessible without pandering to the audience? Writer/director Edgar Wright (Shaun of the Dead, Hot Fuzz and The World’s End) does a remarkable job at successfully walking that tightrope with Baby Driver. From the ultra exciting opening car chase sequence to the bittersweet ending, his work is clever, calamitous and completely compelling. It’s use of music is also unique as both a backdrop and a plot device. Wright pulls remarkable performances from his entire cast. Ansel Elgort (The Fault in Our Stars and Divergent) shows a real star turn as the enigmatic title character and both Jon Hamm and Jamie Foxx really sell the menace as they both play great criminal psychos. Headmaster Kevin Spacey keeps them all together with a solid mix of benevolence and belligerence. Special mention should also be made about the car chase scenes. Without any noticeable computer generated imagery, this overused and tired cinematic device is presented as fresh and unique as it’s been in many years. This is down to the driver’s raw abilities and some amazingly staged choreography of the cars and their surrounds. It’s fast paced but still slows down long enough for some effective character development. 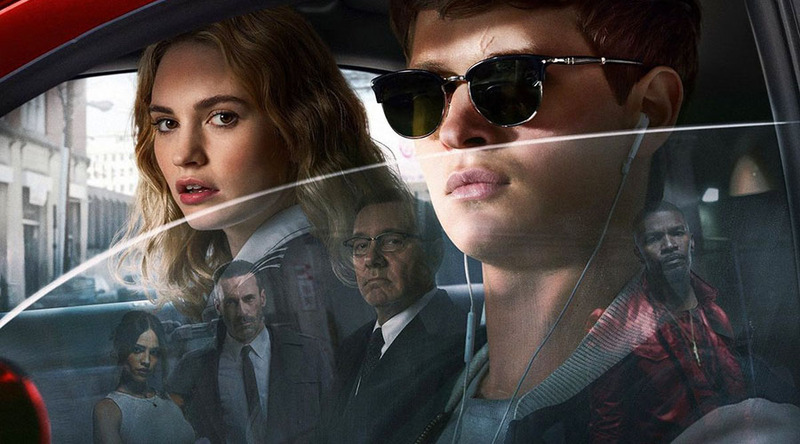 Few films this year will fire on all cylinders with as much assurance and energy as Baby Driver. Don’t miss it.